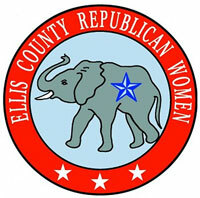 Welcome to the official website of the Ellis County Republican Women (ECRW). ECRW meets on the third Tuesday starting in January through November at 7:00 p.m. at the Ellis County Republican Party Headquarters, 609 Water St., Waxahachie, Texas. Please take the opportunity to browse our website and contact us if we can provide you with additional information about our organization. You can learn about important political issues through the speakers at our monthly meetings. We hope that you will use this website to learn more about ECRW and to keep informed of our activities and current events. You are also welcome to visit us during our meetings. 610 Water Street Waxahachie on Tuesday November 20, 2018. The featured speaker will be Nimiche Alce, MPA, US Army. She is a native of Boston, MA. After receiving her Business of Science degree in Sociology and Bachelor of Arts in Criminal Justice, she joined the ranks of the US Army, serving 8 years and deploying numerous times to the Middle East in support of Operations Iraqi Freedom, and Operation Enduring Freedom. Her final deployment was to Haiti in Support of Operation Untied Response where she earned the Humanitarian Service Medal for her work as a linguist bridging the language barrier between the United States Military and the local population. While in the military she earned her Master's Degree in Public Administration. Ms. Alce's significant military achievements include numerous awards and decorations of Joint Service Commendation Medal, Army Commendation Medal (2nd Award), Army Achievement Medal, Army Good Conduct Medal (2nd Award), National Defense Service Medal, Global War on terrorism Service Medal, Humanitarian Service Medal, and an Army Service Ribbon. As an advocate for veterans Ms. Alce currently serves a the Assistant Veteran Service County Officer for Ellis County. She is assigned with responsibility to provide assistance to eligible Veterans, spouses, and family members in preparing and submitting claims for federal, state, and many other benefits they may be eligible for.